On top of this, more than half of the surveyed households are between “poverty and extreme energy poverty”, which means they allocate more than 10 percent of their income for the payment of services. Those who live in Mar del Plata spend more than 30% of their income on electricity and gas bills. The data is derived from the report “Informe contra el Tarifazo-Pobreza Energética” presented by the Frente Nacional Multisectorial 21F (National Multisectoral Front 21F). They surveyed 372 cases in General Pueyrredon, between December 2018 and January 2019. Of the total number of surveyed households, “23.47% spend less than 10% of their income” on energy bills. Thus, only “3 out of 10 households” are above the energy poverty line. On the other hand, “24.49% of surveyed households spend between 10% and 20% of their total on their energy services bills,” meaning that about 2 out of 10 are in a situation of “energy poverty”. 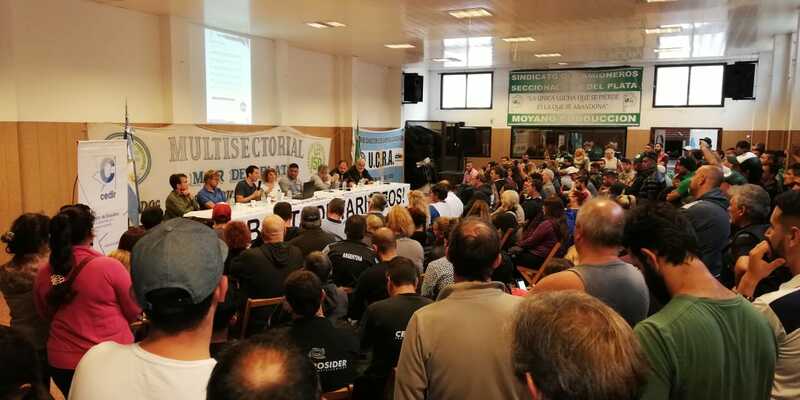 During the presentation of this report, which was held at the local headquarters of the Camioneros trade union, it was also remarked that those who were more affected by the cost of energy services are those “in which breadwinners are retirees / pensioners or permanent employees”. When crossing the opinion neighbors have about the price increases of energy services with the evaluation they have of its impact on their domestic economy, two issues stand out. Out of those who consider that the increase is appropriate and they should strive to pay, 71% assess that what they are going to pay for services is “too much”. On the other hand, there is an important correlation between the belief that electricity, gas and water services should be considered “Human Rights” and that “the means of production of utility companies should be managed by “state enterprises”.